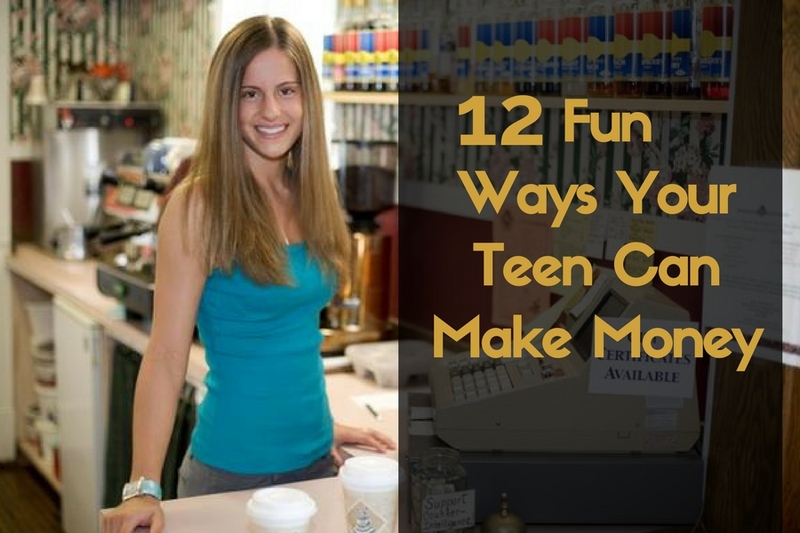 There are so many fun ways your teen can make money these days. And in light of the ever increasing student loan debt, it is more important than ever for your teens to start making money while they are younger, so that they can at least pay a portion of their college tuition. With your help your teen can learn how to make their own money. And as they begin making their own money, use this as a time to teach them how to manage their money properly too. Have them open a savings account at a local financial institution and talk to them about spending and saving money now and in the future. If attending college is something they hope to do one day then show them how to begin saving for their tuition and living expenses, instead of filling out student loan applications. Keep those loan applications as a last resort. Is your teen ready to begin making money? Here are some fun ways that they can do just that. This may be the most obvious suggestion. 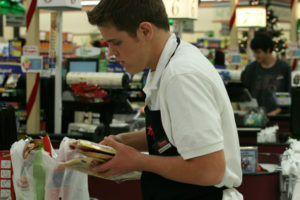 Help your teen scan the local newspapers and online job ads for age appropriate jobs that they can do safely. Show them how to create a resume or fill out a job application correctly. Perhaps there are grocery stores, coffee shops, or fast food restaurants in your area that they could apply at. Or perhaps you know someone that owns a business and loves to hire students. Before your teen heads out the door for face to face interviews, speak to them about their personal grooming and appearance. Ensure they understand the importance of making a “good first impression” by being neat, tidy, and appropriately dressed. Also, speak to them about that first hand shake when meeting the person that interviews them, and about the importance of making eye contact, and always remaining polite and friendly. Etsy is a great marketplace for creative people. If your teen has the skills for creating dolls, jewelry, hand bags, cosmetic cases, and pretty much anything else, they could find a willing and happy market online. Their talent can be very lucrative if they learn how to use it properly. If your teen excels in certain subjects suggest that they offer their services as a tutor for other students. To get the word out have them speak with the teachers of those subjects and let them know that they offer those services. Also, speak to the student guidance counselors and let them know. Often if a student isn’t doing well, the teachers or counselors will let the parents know. And when they do that they can also suggest your teen’s tutoring services. Your teen can capitalize on their writing skills and get paid jobs. They can easily find work online and pick only the projects that interest them. They could write for tech or gaming blogs, contribute to teen magazines, or write for neighborhood businesses. If your town has a lot of new immigrants, your teen could offer their services and start teaching them English. It doesn’t have to be complicated; they just need to formulate a feasible teaching plan, start from the basics, and help these newcomers learn the language. There are websites like Shutterstock and Bigstock Photo that accept photos from just about anyone. These photos are used as stock images. Just pick out the most lucrative keywords and try to submit them to these websites. Your teen will make money each time someone purchases a photo. It is a lot of hard work, but that also means they can charge more. Depending on the services required (like cleaning, waxing, and buffing), your teen can tack on extra charges for extra work. It’s also possible to offer both external and internal cleaning. And instead of waiting around for people have your teen go out and find them. Knock on neighbor’s doors on a Saturday afternoon and offer to wash their car so that they have one less chore to do. If your teen managed to ace their SATs, congratulations. Here’s another opportunity they can try. Conduct a course for students about to take their SATs. And they will get more students if they work hard to provide review materials and mock exams. A lot of teenagers are actually very tech-savvy. This is because the new generation really is more ingrained towards technology. They were born into this, and cannot imagine a world without the Internet, so it just makes sense that they would use it to make money. If your teen isn’t into tech but they are very creative then they can sell their artwork online. They can create customized logos for bloggers and websites. They can build a portfolio by offering their services on Fiverr first. It doesn’t have to be really fancy; but jewelry has to be unique to sell. A lot of people have a creative talent that helps them create wonderful products. Design bracelets, earrings, and even pendants and keep studying new techniques online. This can be a very fun way to make money. Check out this story on how a 9 year old girl started her own business and now at 17 she is the CEO of a six-figure business. She is also the youngest person to ever ring the NASDAQ Stock Market opening Bell. She has also been interviewed on TV many times which instantly exploded her sales. If she can do it, so can your teens.